Awaken and start your day to the heavenly aroma of freshly baked breads, scrambled eggs and freshly brewed coffee. 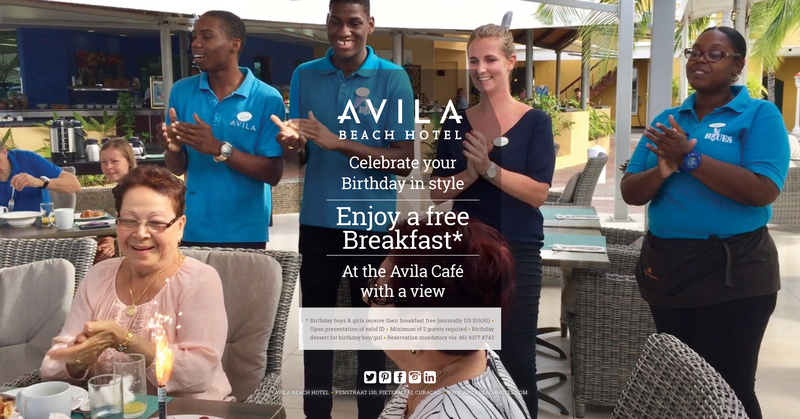 Breakfast on Curacao at the Avila Café, our charming patio restaurant, is a sumptuous buffet offering many choices for all tastes. 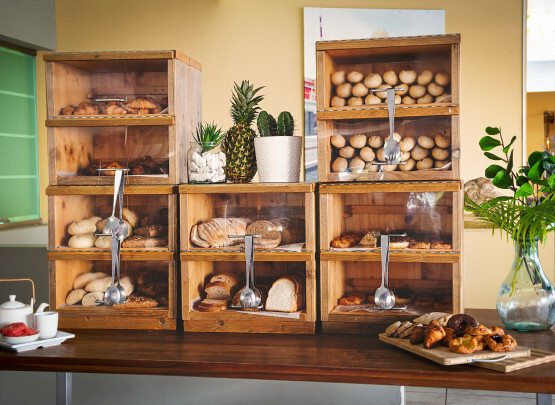 Tasty pastries and an assortment of beverages are also served by our cheerful breakfast team. Avila Café is open daily for breakfast from 7.00 to 10.30 am. 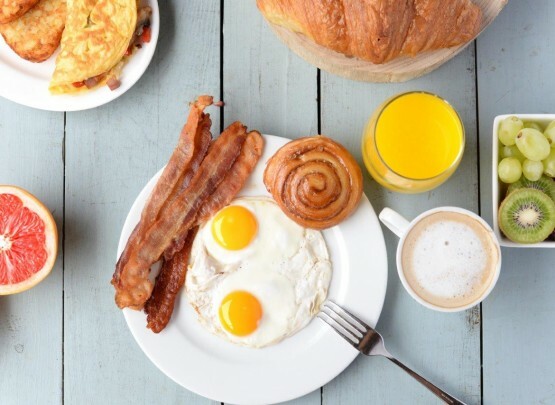 Breakfast is served in buffet style and offers a variety of hot and cold items. Hard or soft boiled eggs, but also fried eggs, scrambled eggs and omelets are on the menu. Our cook prepares the style you prefer with pleasure each morning. In addition to various types of meats and cheeses, a fruit bar and a separate area with various cereals, granola and dairy drinks can be found. A sweet corner should obviously not be lacking as evidenced by different kinds of daily fresh pastries at the buffet.